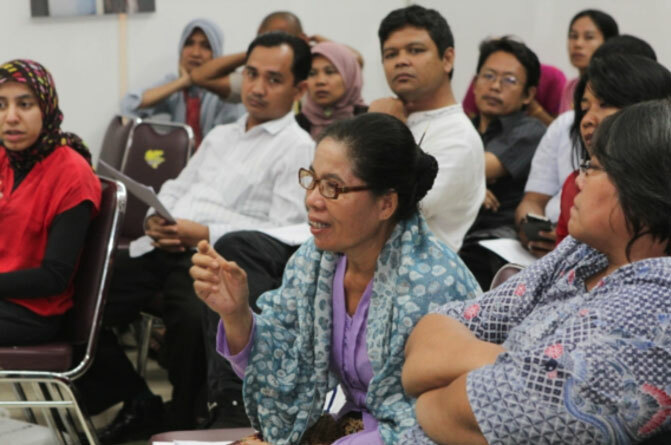 In commemoration of International Tolerance Day, Asia Justice and Rights (AJAR) together with other leading national NGOs held a regional conference in Jakarta, Indonesia. Participants from Indonesia, Burma/Myanmar and Cambodia opened the event with carnival or peace torch, representing diversity of ethnics and religions in the region. Approximately 2,000 participants followed the carnival. The two-day event consisted of parallel panel discussion with speakers from Southeast Asian countries. The issues ranged from minority protection, religious harmony, religion and human rights monitoring, victims’ fulfillment, to strengthening survivors’ community. Photo exhibition and documentary films were shown to promote diversity and tolerance in the event.